Liora Farkovitz is a content strategist, content developer, writer, publisher and, a content marketing and organic promotion company. 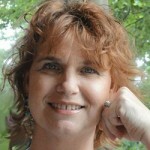 She has been an entrepreneur for over 20 years and frequently writes or speaks about various business topics. Small business owners are often inspired by a deep seated desire to create a business, build it up and become renowned the world over. But it doesn’t take long to figure out one very important aspect of entrepreneurship; it truly does take money to make money. It can be confusing to someone who is a novice at business development. You have to have money in order to borrow money? What? Why? Business investment is based on the premise that if an investor gives you money, it is to fuel your ability to expand on an already successful concept. It’s not meant to be…charity. So what are the basic types of capital you can use to start your business? And what is the process? The process is very similar no matter the type of funding that you are pursuing. You’re going to have to apply for credit by giving your personal and financial information, along with any business partners that you may have. You will have to explain, not just in terms of the business concept, but in terms of how you plan to execute the concept. It can’t be “I am going to make widgets.” It has to be, “I have an idea for widgets. There is a demand for widgets in the market place demonstrated through these identifiable indicators. Widgets are made out of these ingredients. I will buy these ingredients from these suppliers. These suppliers are reliable because of xyz. I am going to sell my widgets to these customers. I am going to find these customers in this particular way, using these particular methods. These customers are sustainable because of abc reasons. My costs will be this much money. My sales prices will be this much, and my profitability will be this other amount. I am going to staff my company with these experts, and they will cost me this much money…” Part of demonstrating your credibility is being able to answer all of the questions related to your success skillfully. The first investment option is “boot strapping” your business. This means you take your own access to credit, savings, retirement funds and whatever limited income you are initially generating and pour it into your business to pay for marketing materials, advertising, digital collateral such as website development and hosting, your cell phone, car and gasoline. Then you hit the pavement and sell, sell, sell until you find enough customers that prove that your business concept is legitimate. Sometimes, it flies, and you are able to make your business successful – plus you keep 100% of the profit. 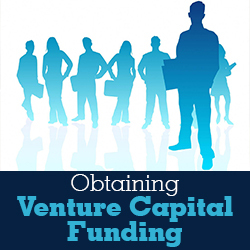 The next option is finding an individual or group of “Angel Investors”. This type of investor is often a family member, or close family friend, someone you know in your closest circle who knows you personally and is willing to gamble on your business concept for a limited amount of time. Sometimes it’s less formally pitched and accepted; maybe you discuss your ideas over lunch or dinner, or over a period of time. Perhaps it’s a member of your small circle of clients who really loves your business. What you have is a loan; or maybe they opt to donate money to get you started. But be careful that this arrangement isn’t loaded with unspoken obligations that will compromise your integrity or reputation. Keep business – business, and your personal life – personal. Naturally you can approach a bank through Small Business Administration programs; but most banks now view credit cards as their way of supporting small businesses. The SBA has many resources available to define government secured loans, grants and programs to support small business efforts. Banks always want capital to secure their loans. That might mean gold, but it doesn’t mean your home anymore. Not because they grew a heart and wouldn’t want to threaten your domicile, because they will take your house if you default – but because they have so many homes from the real estate crash that they can’t count on recovering their loan from your house. Usually, when a small business owner imagines investment capital, they may not know that it’s called “venture capital” and even less often are they aware of what it’s all about. First, a venture capital group puts together a fund and defines a target market of businesses that they want to invest in. Generally, they want to make at least 40% on their investment, and they want to have a clearly defined “exit strategy”. Further, they expect to gain ownership percentage in exchange for lending you money too. There are usually “rounds” of investment as well. Surprisingly, it’s a lot easier to get $20,000,000 than it is to get $1,000,000. Expect to give up at least 20% of your company for the first round of investment, and if you have three or more rounds, you could end up being a minority owner. Don’t fall in love with your fist business – it’s not a child – it’s a business concept. Make sure that you have clearly defined income guidelines that define your own success and your investor’s success too. Approach them with a clearly defined exit strategy, so that they know how to measure your success, and their own. The best way to be detached from your business is to think of it as your first in a series of businesses. If you are an entrepreneur, you will have many businesses, and you will fund them all in different ways. It’s important, as you approach investors, that you have an elevator pitch – can you tell a stranger in less than 30 seconds what you’re doing and why it is profitable? You need an Executive Summary that gives the premise of your business concept on paper. Then, you need a clearly defined Business Plan, Strategic Marketing Plan, and Financial Projections that clearly define expenses for infrastructure, operations, cost of goods sold, marketing, personnel, benefits and don’t’ ever forget – tax liability. If you are clearly on top of your game, and you can show a profit and why your idea is not a fantasy but a solid plan, you will find investors that are willing to take a chance on you, your business and products and their own ability to judge your chances for success. One of the most obscure aspects of venture capital is learning how your business will be valued as it gains investment capital and meets its sales and expansion goals. Knowing even a little something about business valuation will help you communicate in a much more sophisticated manner. Some cities have stellar start up community resources. One of the best ones in America is The Startup Lounge in Atlanta, Georgia. They have a sophisticated series of podcasts, and a fun and innovative way of gathering investors and entrepreneurs together in a quarterly cocktail party. Their methodology teaches entrepreneurs to perform in this environment and has produced many business deals. Atlanta has other resources too that are emulated in other communities across the country. Look for Startup resources, small business incubators, the MIT Small Business Forum, and Small Business Administration connected workshops. Often local universities have programs that help you launch your business in a professional manner. Networking is clearly your best friend when looking for financing, and there are many people that are eager to hear about your ideas. Be fearless and excited and move forward with a smile on your face; you’ll get there if you just persevere.